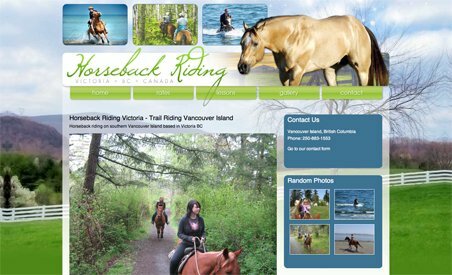 Woodgate Stables is a horseback riding stable on the Saanich Peninsula, where rural and urban lifestyles seamlessly blend. Located just north of Victoria, Woodgate Stables is easily accessible to the many parks, hills and countryside that the region has to offer. Riders can enjoy the area’s beautiful scenery on one of Woodgate’s many trail rides, which include swimming with horses, beach rides, scenic guided trail rides, overnight trips and family/kids rides. Or, if you want to become more comfortable with horses, sign up for Natural Horsemanship Lessons. Woodgate Stables is a horseback riding stable on the Saanich Peninsula, where rural and urban lifestyles seamlessly blend. Located just north of Victoria, Woodgate Stables is easily accessible to the many parks, hills and countryside that the region has to offer. Riders can enjoy the area’s beautiful scenery on one of Woodgate’s many trail rides, which include swimming with horses, beach rides, scenic guided trail rides, overnight trips and family/kids rides. Or, if you want to become more comfortable with horses, sign up for Natural Horsemanship Lessons. Learn the basics of horse communication: how horses learn, their body language and how to make them do more or less. Students will develop confidence and learn how to have relationships not only with horses, but also with people. The horses at Woodgate Stables are well-trained, ride independently, respond to light touch and are excellent swimmers.